The seaside Mornington Peninsula wine region has over 50 cellar doors hidden amongst sprawling orchards, farms and kitchen gardens capturing some of the very best views of both Port Phillip and Western Port bays. Daily Mornington Peninsula wine tours include visits and tastings at 4-5 of the region’s finest wineries and vineyards. Morning tea and a fabulous winery lunch is included at a stunning outlook. We offer a personalised door-to-door service; we are happy to pick you up from your CBD hotel and return you directly at the end of this most enjoyable Mornington Peninsula wine tour. Your day begins with you being picked up from your accommodation within the Melbourne CBD or local surrounding area, followed by Morning Tea. Then, Awaiting your discovery on this Morning Peninsula winery tour are several world-famous wineries, along with many brilliant family-owned and boutique wineries that define the unique Mornington Peninsula wine region. Your wine tour to Mornington Peninsula will include visits and tastings at 4-5 of the region’s finest vineyards and cellar doors, which may include Dromana Estate, Hickinbotham, Montalto, Paringa Estate, Red Hill Estate, Stonier Wines, T’Gallant, Tuck’s Ridge, Willow Creek Vineyard and Pier 10. You’ll stop for a delicious 2-course lunch, accompanied with Tea, Coffee or a glass of wine, included in the fare. Wine Tours Victoria works hard to create a memorable day of great experiences for you and your companions in one of Victoria’s famed wine regions. Are you interested in seeing other aspects of the Mornington wine region? We endeavour to include areas of interest in your wine tour. Wine Tours Victoria makes sure your tour to the Mornington Peninsula Wine Region is special, comfortable and memorable. The beauty of a day out in the Mornington Peninsula Wine Region in one of our small group tours is that you can help shape your day. We will work with you to design a day that suits you. Wineries of choice, key locations – it’s all up to you. Let us know what you want from your day, after you book, and we’ll use our expertise to make it happen. 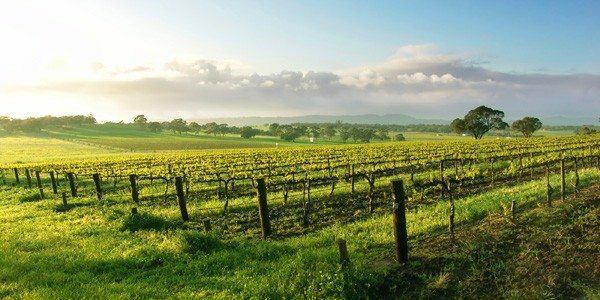 Enjoy the stunning views and historic secrets of Victoria’s countryside en route to a fabulous day tasting and learning about delicious wines. It’s a day trip you won’t soon forget! If you’re looking for the most memorable wine tour Mornington Peninsula has to offer, you can’t go wrong with our small group tours with up to 10 guests per wine and food tour. Book a Mornington wine tour online now or call 1300 946 386. Only $180 per person including a special winery lunch, all your cellar door tasting fees and door-to-door service from your hotel. With red volcanic soils and hills rising 300m above sea level, the region’s climate is dominated by the strong winds that constantly sweep across the land from both Port Phillip Bay and the Bass Strait. While rainfall is usually reliable, supplementary irrigation is often required during the growing seasons. A prolonged and gentle autumn usually results in fully ripe grapes with outstanding fruit flavours, high natural acidity and fine tannins. The Mornington Peninsula district has a reputation built around excellent vintages of Chardonnay and Pinot Noir; you will also find Shiraz, the greatest concentration of Pinot Gris in Australia, and even some Tempranillo. The region has a history of agricultural production, supplying the Melbourne markets with fruit, berries, vegetables and herbs. The region is also an important recreation and tourist destination mainly servicing the Melbourne population who flock to the area on weekends and holidays. This is a modern wine region that has only recently been developed for viticulture. Commercial wine production dates back to the early 1970s. Today, there are more than 200 vineyards, of which over half are less than 5 acres and two thirds less than 10 acres in size. Commercial growth, however, is driving by the bigger players, with vineyards of more than 20 acres currently accounting for well over 40% of the total grape growing area planted. We had a fantastic time on the wine tour of the Mornington Peninsula on Sunday! Trevor, our guide/driver, was lovely and very knowledgeable about the region and also all the different wines available. Wine Tours Victoria tailored our day very well to any requests, and really went the extra mile. Service was excellent, and nothing was too much trouble for Trevor, I would thoroughly recommend them to others ! We booked a weekday winetour and were picked up from the door of our hotel. It was a glooy, drizzly and comd winters day but John, our driver and tour guide was very good company and very knowledgeable of the area. Had a great day, tasted (and purchased) some great wine and had a fabulous lunch. Will definitely do another! This was my second time ‘touring’ with Wine Tours Victoria and I think I preferred the Mornington Peninsula over the Yarra trip. Both had similar format but the wineries and the lunch were more to my liking on this tour.Our guide Melissa had just the right mix of professionalism and flexibility.We never felt rushed,nor did we feel we had too long at any of the wineries or the wonderful lunch at Merricks General Store.Fun company also made for a great day out….Thanks Melissa and Wine Tours Victoria. I can’t say enough wonderful things about our driver and guide for the day, Melissa. Firstly she was bang on time with our pick up. Had home baked biscuits to have with our morning tea stop. Melissa took us to four lovely boutique wineries with great wine, and we even got to taste a few premium wines not on the cellar door tasting list. Lunch at Merricks was devine, relaxed and with good food. Melissa even did a little detour to the Red Hill Bakery to pick up their specialty Duck pies. It was a perfect day. Melissa became a part of our group and was so accomodating. Thank you all for a perfect autumn day with great friends old and new. Prior to making our trip to Australia in January we knew we wanted to take a wine tour and I reached out to three companies in October. Of the three companies I traded email with, only Wine Tours Victoria followed up two weeks later to ask if I had any more questions or if they could still assist. All three were highly rated so this one factor differentiated this company from the competition and is the reason I chose them over the others. I booked the tour only a few weeks before our trip and was told they could accommodate, but we might have a tour of up to 11 people. When Trevor picked us up from the door of our hotel we learned our group of four were the only people on the van and we had a private tasting tour. Trevor was excellent, we found him pleasant, knowledgeable, and unfiltered; Trevor would give us a front of mind answer to any question and I found this quite refreshing. His van was pristine, a very large Mercedes mini-van that was extremely comfortable. We road for a little under an hour from Melbourne to Mornington Peninsula and stopped at a small park for a break. Trevor broke out tea, pressed fresh coffee, and offered a breakfast cake for everyone to enjoy. Then we packed up and headed off to our first tasting flight. Trevor seemed to know the winery staff well and we found them very enjoyable. The wines were very good as well. Next we headed to a combination tasting room, market, and restaurant. We had another flight of wine, and it was very interesting because as a market we tasted wines from many different wineries. Then we headed into the restaurant for our lunch reservation. There were about four lunch choices offered and we started with an antipasto plate. Everyone enjoyed the food. A glass of wine was included, and we purchased another glass with our meal. The lunch was a very good part of the tasting trip. Next Trevor asked whether we would like to try one of his regular stops or venture out, roll the dice, and try a place he’s not visited before. We chose the new place and stopped in a very small boutique winery. It was beautiful, charming really. The owner was pouring wine and talking about her wines, which were made off-premises by someone else. It was really pleasant, although we really didn’t like her wines. I talked at lunch about my personal policy of buying a bottle of wine any time we tasted but I couldn’t bring myself to buy a bottle there. Still, I’m glad we saw the grounds, and I hope all the best for the owner. Our final stop on the tour was my favorite winery. Again we approached a stunning landscape that reminded me a lot of our beautiful wine country in Oregon. The tasting room was large and we were attended to very well. The wines kept coming and getting better as we went through them. Coincidentally, the one wine we bought at the tasting at the store before lunch came from this winery. We picked up two more bottles here to round out the collection we would take home to share with friends. We shared nice conversation again on the drive back and Trevor took us along a different route so we could explore new scenery. It was a great day in total and we enjoyed ourselves very much. Trevor was attentive and the trip was well conceived. I would change not one thing; if we make it back to Melbourne we will tour with Trevor again, and I highly recommend Wine Tours Victoria for a wine tasting trip. I went on a great tour of Mornington Peninsula wineries with wine tours Victoria today – highly recommended! I booked very last minute but it wasn’t a problem. John was a lovely guide – very friendly, knowledgeable and patient! The group was great and we took our time but John didn’t get stressed about us being late for bookings. The wineries were great – a nice mix and we had a lovely and substantial lunch. The morning tea stop was a nice touch as well, despite the weather! All in all, exactly what I hope for from a wine tour – small group, friendly guide and no stops at touristy cheese or chocolate factories!